​Traditional boats can be expensive, both in purchase and upkeep. Inflatable boats can give you all the fun of a day on the lake without the hassle. ​If you’re looking for an inflatable boat to have some bonding time with the family on the lake this summer, our Inter Excursion 4 Review should help you in making the right decision! This inflatable boat is incredibly versatile and is perfect for a large group of family or friends. The best part is, you won’t need to dock it when you’re all done, as it deflates and folds up nicely at a fraction of the size. Follow us through the article as we discuss the ins and outs of the Intex Excursion 4! The Intex Excursion 4 is crafted out of heavy-duty, durable PVC vinyl that is puncture resistant. At three layers thick, with two layers of vinyl and one layer of polyester, you’d have a hard time trying to break this thing apart. This also makes it ideal for a variety of different boating trips, including nautical ones, where the conditions might become a bit harsher than usual. The additional of the inflatable I-beam floor adds some sturdiness to the boat, making it a bit easier to stand up, enter, and exit the boat. The boat includes two two-person inflatable seats on each end of the vessel that are actually pretty comfortable considering they’re made out of the same vinyl material as the rest of the boat. We love the addition of the backrests to give you some lumbar support. This can make a world of difference, especially if you’re out on the lake for hours at a time. The process of inflating or deflating the boat takes about 10 minutes, meaning you don’t have to spend a ton of time or energy getting this thing out on the water. After all, there’s nothing that ruins a day of fun like hard labor. It includes a Boston valve located on the two main hull chambers to expedite the process. On the front of the boat, you’ll find a convenient grab handle. This makes it much easier to pull in and out of the water than the line. That being said, the grab line that is tethered around the boat is a convenient transportation feature as well that also adds an element of safety. For the simplicity of the Intex Excursion 4, it actually comes packed with some pretty cool features. If you’re looking to take this baby out for some good old fishin’, the two fishing rod holders will make your trip more convenient than ever, as you’ll be able to cast more lines than you have hands to do so. Pairing your Intex Excursion 4 with a trolling motor can make a world of difference in your boating experience. The people at Intex realized that inflatable boats need specific motor mounts, and that is why they created a line of them, including the Excursion 4 Motor Mount. The reason for adding a trolling motor to your Intex Excursion 4 is so that you have a bit more control of your boat. You can easily adjust your speed and you also have the ability to navigate both saltwater and freshwater environments. Some environments can be more dynamic than others, so having a motor like the one Intex made can be helpful in quickly adjusting to either. The best characteristic of the Intex motor is that it is very quiet. If you’re trying to take a fishing trip, having a motor that is loud will drive the fish away from your boat. This easy-to-install motor, complete with the digital maximize control module, water cooling system, adjustable handle, and multiple speed control will take your Excursion to the next level, guaranteed. Another great mod that you should certainly think about adding to your Intex Excursion 4 is Excursion 4 canopy. Having a canopy on your boat can help to protect you from harmful UV rays, and in the event of a little rain on your day out on the water, can protect you from getting wet. This canopy is just as durable as the boat with PVC coated polyester and aluminum tubing that folds up nicely. The portability means you can easily store it on the boat and set it up in no time if need be. Both of these boats are quality inflatable boats in that they are completely puncture resistant, four-person capacity boats that are great for fishing and recreational lake days. There are a few small differences that you should note before making your final decision though. Regarding size and comfort, the trophy goes to the Excursion 4. It’s wide than the Seahawk 4 and also features backrests on the seats that can make a world of difference when you’re out on the water for long periods of time. That being said, the Seahawk 4 is about 10lbs lighter than the Excursion 4. As for the features, both of the boats share most of the exact same features. Both have grab lines around the circumference, two fishing rod holders, motor mount capabilities, oar holders, and inflatable seats. All in all, both boats are very durable and usable inflatable boats and, in a way, are pretty much interchangeable. That being said, we would most likely go with the Excursion 4 just because of the backrests. The most noticeable difference between these two boats is that the Intex Excursion 5 is built to hold more people (5 to be exact). It outdoes the Excursion 4 weight limit by about 200lbs. It is essentially a larger version of the Intex Excursion 4 with extras of the same features. Instead of two built-in fishing rod holders, the Intex Excursion 5 comes built with four. Other than that, you have the same grab-line, motor mount fitting, inflatable floor, oarlocks and holders, Boston valves, and everything else. We would highly recommend the Excursion 5 to larger families or people that will need more room out on the water. For some other top-notch boat comparisons, make sure to see our FinBin page on our best inflatable boats! Is the Intex Excursion 4 a safe boat for children? The Intex Excursion 4 is excellent for children who are just getting out on the water for their first time! It’s lightweight, easy to paddle, and comes complete with the grab-lines on the sides in case of any accidental falls. That being said, we would highly recommend accompanying your children out on the lake and making sure that they are wearing life vests at all times. Can I take the Intex Excursion 4 out in the ocean? Absolutely! We would just say be wary of rough waters. The Intex Excursion 4 does not handle chop as well as some inflatable boats out there. Can I repair holes in my boat? Patching up and repairing your boat is actually pretty easy. Intex has videos online, as well as straightforward directions in their manual, about fixing any holes or leaks. That being said, if the leak is huge, we would recommend taking it to a professional to repair. The Intex Excursion 4 is an A+ regarding entry-level inflatable boats. It’s great for family outings on the lake or a solid fishing trip with some friends. 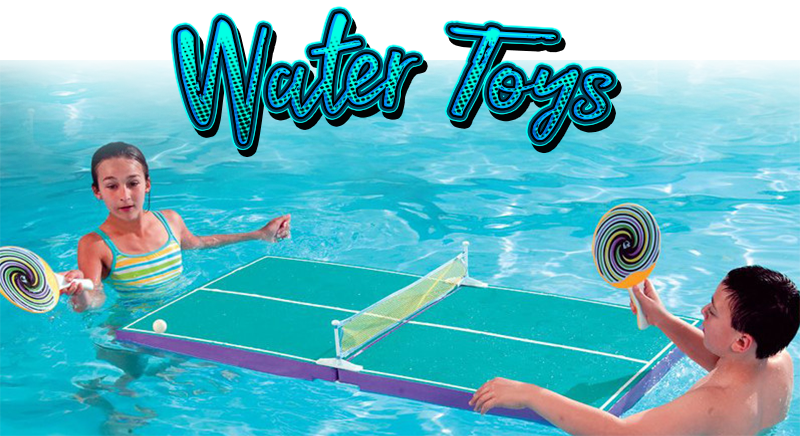 If you’re looking to get a little closer to the water, this is a fun and inexpensive way to do so! Back What are Bodyboards Made Out Of?